Step 2 : Install free port scanner. Step 3 : Detecting the static IP assigned to your organization. Here the site will display your IP address. Please note down your IP address which we will be using again in the further steps. 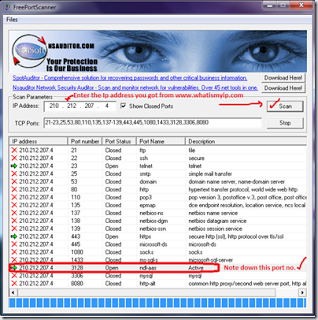 Step 4 : Scanning open ports for your external IP address. Entering IP address whose port has to be scanned. To hack cyberoam required sotware is Proxifier. 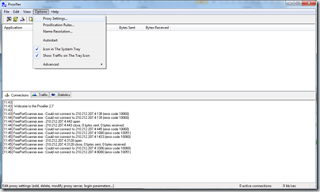 This software helps us to bypass cyberoam through proxy sevrer. Install it on your system. The installation is typical to any other software installation on windows. 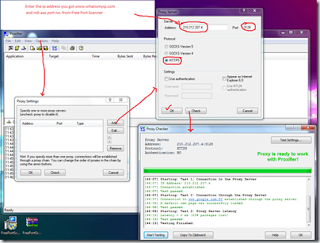 The key of bypassing cyberoam lies in configuring the proxifier software. The IP address and port we detected earlier comes to use now. Now Open your favorite sites ! !